The resolution demanding the ceasefire "without delay" was adopted as Syrian government forces pounded the rebel-held enclave of Eastern Ghouta, where hundreds have died during a week-long assault. 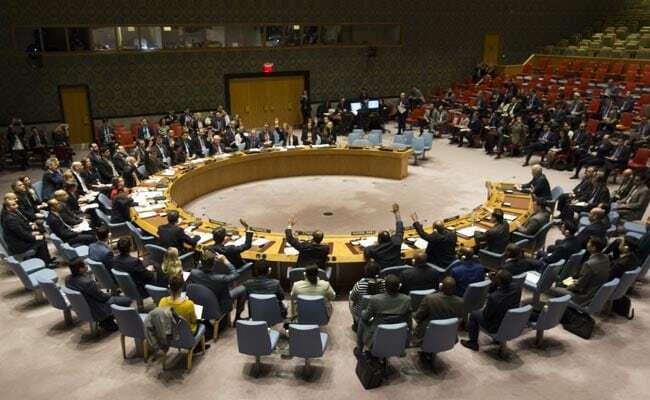 United Nations, UNITED STATES: With Russia's backing, the UN Security Council on Saturday unanimously demanded a 30-day ceasefire in Syria to allow for humanitarian aid deliveries and medical evacuations. "We are late to respond to this crisis, very late," US Ambassador Nikki Haley told the council after the vote, accusing Russia of stalling the vote. More than 500 people, including more than 120 children, have been killed in seven days of relentless airstrikes in Eastern Ghouta, which UN Secretary-General Antonio Guterres described as "hell on earth." The resolution demands a cessation of hostilities "without delay" throughout Syria to allow the "safe, unimpeded and sustained" deliveries of aid and evacuations of the sick and wounded. Diplomats said they were confident that this would not open the door to postponing the ceasefire, as council members had made clear in negotiations that the truce must quickly come into force. Guterres is to report to the council in 15 days on the ceasefire, diplomats said. In another concession to Russia, the resolution said the ceasefire will not apply to operations against the Islamic State group or Al-Qaeda, along with "individuals, groups, undertakings and entities" associated with the terror groups. The text demands the lifting of all sieges including in Eastern Ghouta, Yarmouk, Foua and Kefraya and order all sides to "cease depriving civilians of food and medicine indispensable to their survival."